Reflective Bragg gratings (RBGs) recorded in photo-thermo-refractive (PTR) glasses have been widely used in narrowing and stabilizing the laser emission spectrum. With its determining effects on the final output wavelength of lasers, the center wavelength of RBGs should be carefully controlled during the fabrication process. 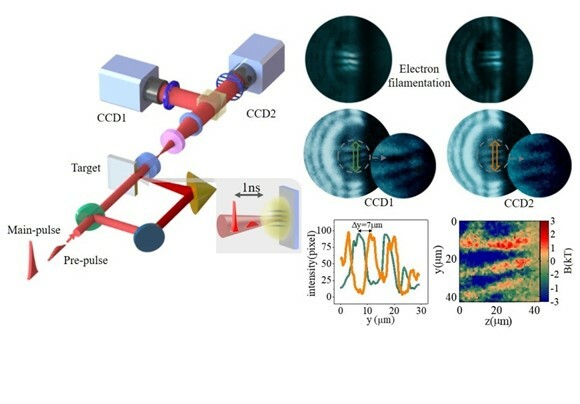 Recently, researches at Key Laboratory of Materials for High Power Laser at Shanghai Institute of Optics and Fine Mechanics of the Chinese Academy of Sciences, have developed a two-step method to realize the fabrication of high precision RBGs. 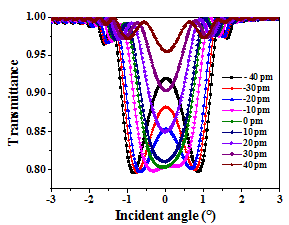 The results were published in Applied Optics. The derivation result based on Kogelnik's theory has shown that the zero order transmitted angular curve of RBGs could be utilized to determine the center wavelength (λb0) of the fabricated RBG with high precision, and the impact of mean refractive index error of PTR glass at operating wavelength is almost eliminated. The amount of correction required for the exposure light path can be then accurately calculated. Theoretically, λb0 of the second fabricated RBG using the corrected optical path is very close to the target one. Using this method, an RBG with target wavelength of 794.6 nm is fabricated. 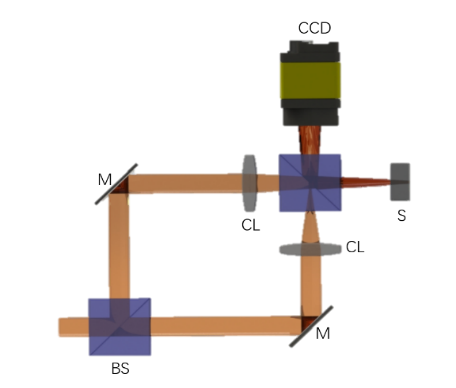 In their following experiment, a tunable distributed feedback laser with calibrated wavelength was used as the laser source to test its angular characteristics. The test results of different laser wavelengths proved that the deviation of the fabricated RBG's center wavelength from the target one can be controlled within ±10 pm. This can meet the needs of most laser applications.